Indonesia is one of the world’s most populous countries. It is made up of at least 17000 islands with some of the most scenic places that make it a highly sought after destination for many tourists and travelers looking to have fun. The country is endowed with great geographical diversity characterized by many jungles, volcanoes, and beaches. Each of the country’s regions boasts of something unique to offer. No one can exhaust all the places that one can visit in the country. However, there are popular attractions that as a tourist you should make sure to check out next time you’re looking to have fun. 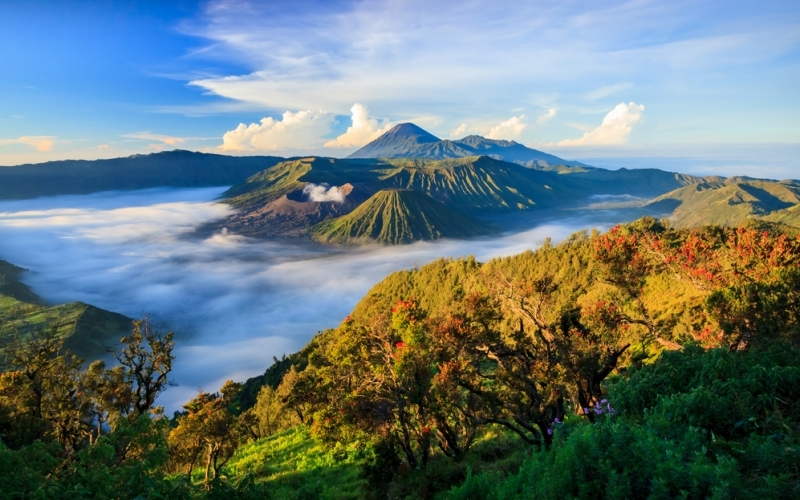 Bromo stands tall at a height of 2329 meters. Even though it’s not Indonesia’s highest peak, it’s the country’s most popular volcano. The name Bromo is derived from Brahma, the Hindu creator god. It’s located in Sea of Sand, a plain in Indonesia and is part of Bromo Tengger Semeru National Park. Its popularity makes it almost a rite of passage for anyone who lives in the country or visits it to do a Bromo tour and walk up to the crater. Most tour and travel companies have a package Bromo tour packages for those wishing to visit the Bromo crater. For instance, The Seven Holiday experts will provide you with some of the most important details regarding a visit to the area for someone who’s not yet sure about what to expect on such a trip. laces in the cities of Surabaya, Probolinggo, and Malang. However, the cities are not a walking distance from the Bromo mountain, meaning that you’ll need to rent a car to take you there. The cost will vary depending on the city that you settled to stay in. For instance, the cost from Surabaya to Bromo will be the highest given that it is the furthest from the city. This is another volcano that also constitutes a great tourist attraction in Indonesia. Mount Ijen is home to one of the world’s few remaining active sulfur mines. It sits on about 5466 hectares with its peak standing at the height of 2386 meters. It has a scenic view. For the greatest experience, be sure to visit it in the morning and catch a glimpse of the yellow sun glowing on the surrounding water. The morning haze will create an experience that you rarely find in the urban areas. Visiting this crater also comes with some extras. There are animals and beautiful plant species that you will come across during your tour. You will get to see the jungle fowls and porcupines. Some of the plant species include casuarina junghu and edelweiss flower. If you choose to visit the Ijen Crater, make sure to capitalize on the morning hours. The area is usually cordoned off at 2 pm due to a thick poisonous smoke that emanates from it. Previous PostA Guide to Avoiding Parking Tickets Next Post Investing in Football Memorabilia — is it Worth it?